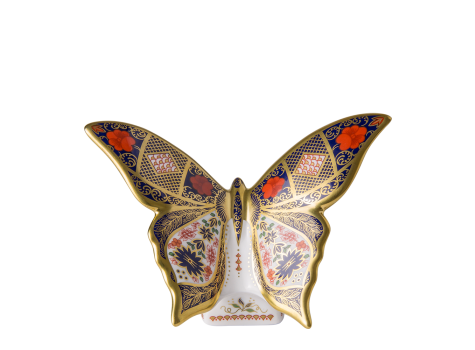 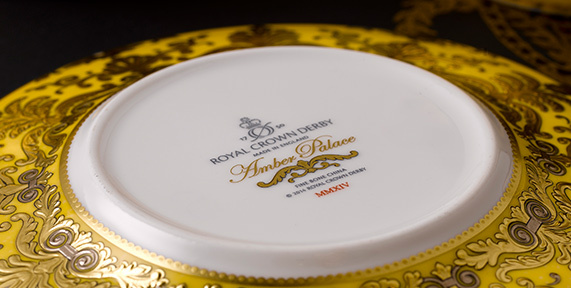 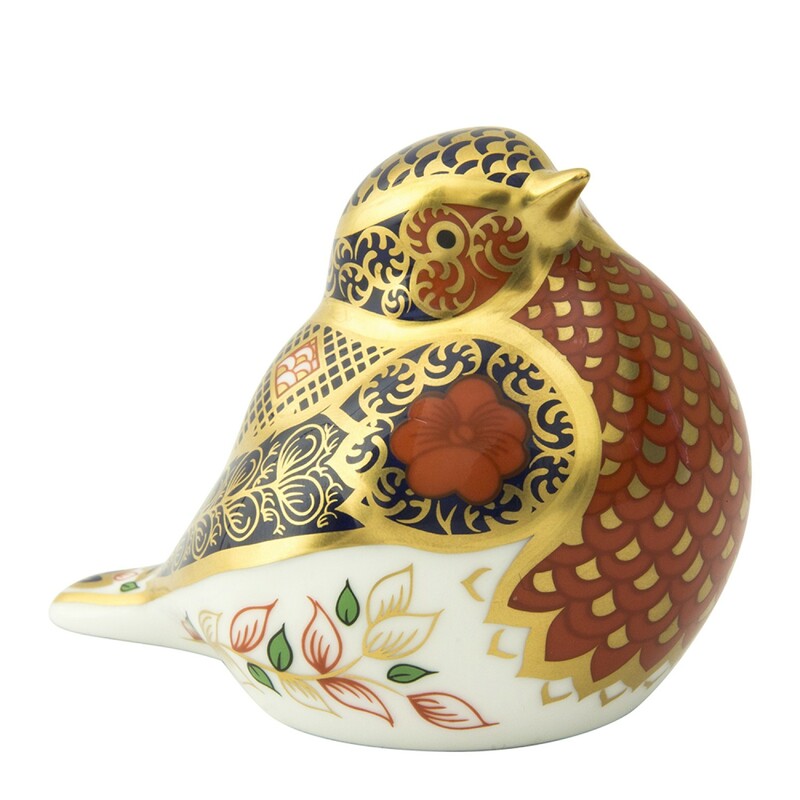 Introducing the Old Imari Solid Gold Band Robin into Royal Crown Derby's Giftware range, using a beautifully adapted version of the ever popular Imari surface design. The Robin's red berry plumage is depicted perfectly using wonderful rich tonal colours featured in this truly historical Royal Crown Derby Design. 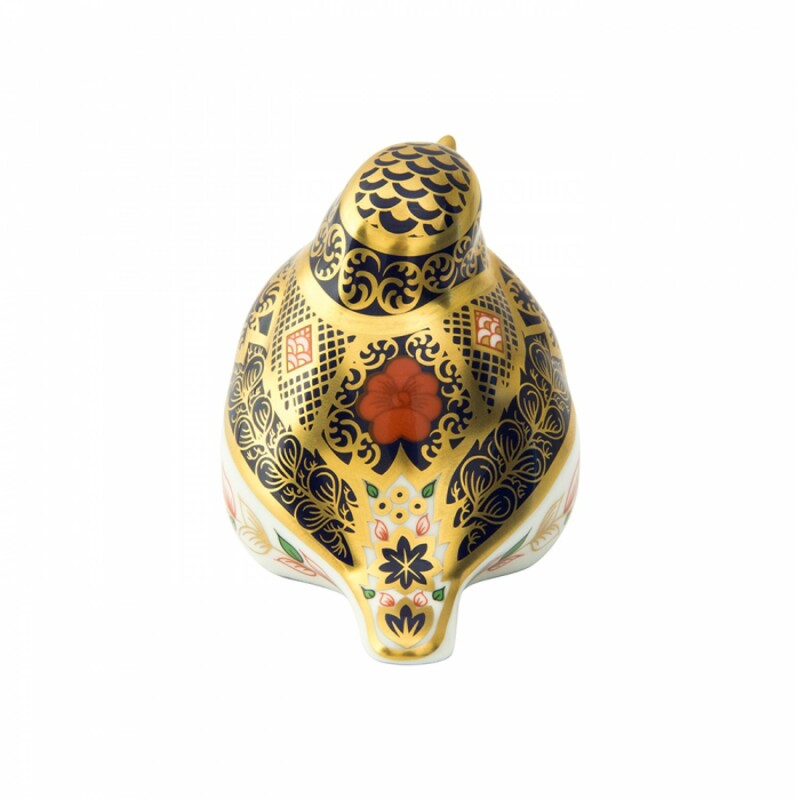 Open lattice designs join striking geometric shapes and intricate floral inspired motifs to illustrate the exquisite feather detailing on the Robin in striking shades of red and blue, made famous by the 9th century pattern. 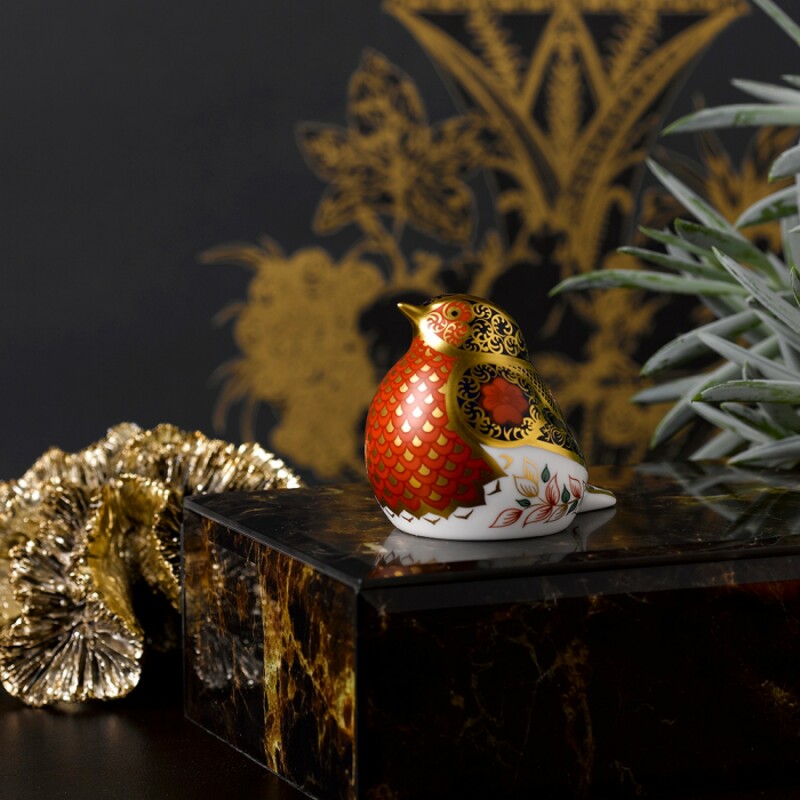 Peonies synonymous with the original design adorn the wings and body, adding a lovely touch to the bird, decorated with 22 carat gold bringing a wonderful opulent finish to the Robin. 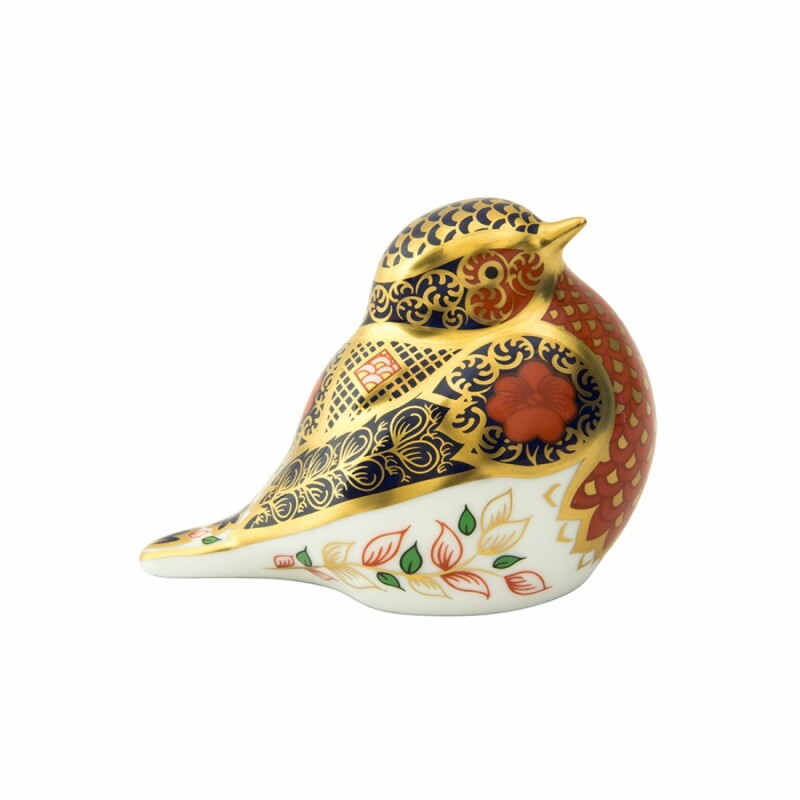 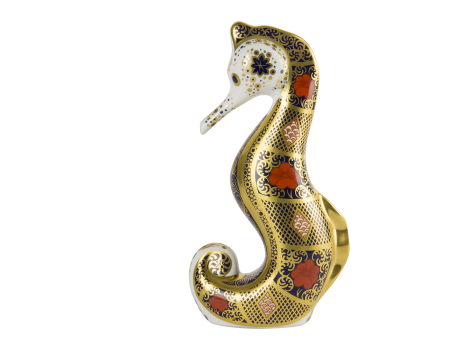 The robin symbolises hope, joy and happiness in many cultures making the Old Imari Solid Gold Band Robin a perfect gift for discerning customers and avid collectors alike.